Energy - B Vitamins to support energy metabolism. 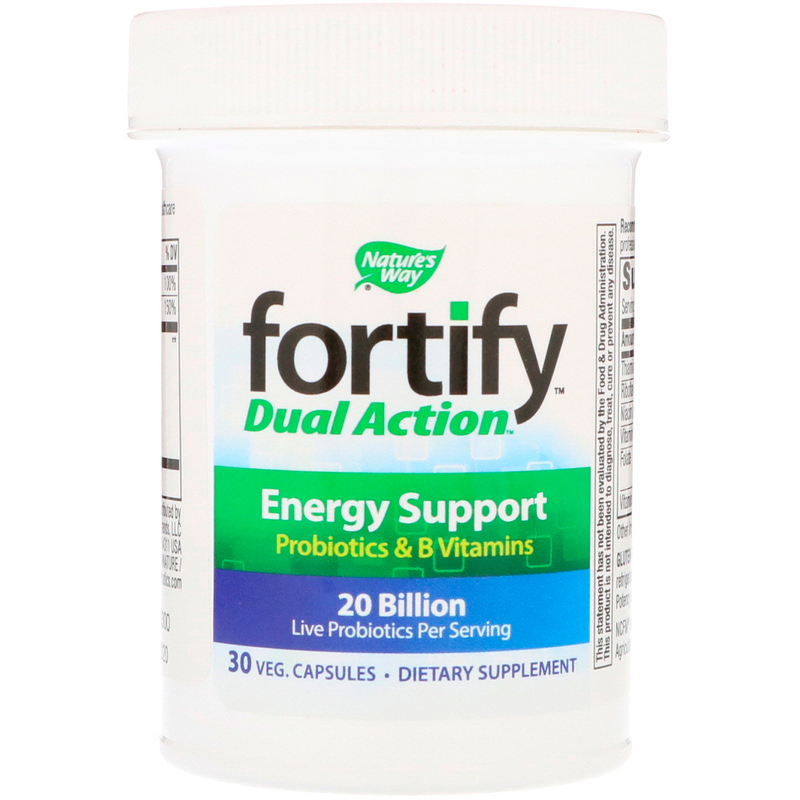 With a specially formulated blend of B vitamins, Fortify Dual Action Energy Support helps the body convert the food you eat into energy. The Dual Action Energy Support formula contains Lactobacilli & Bifidobacteria to support overall digestive and immune health, giving you a great foundation for your busy day. 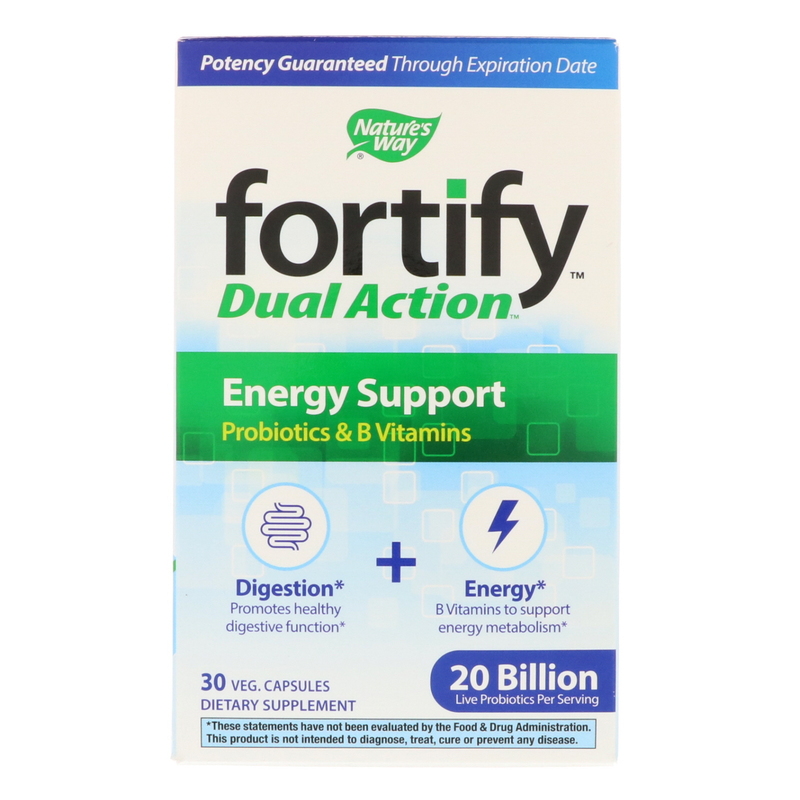 Each capsule is resistant to the harmful effect of stomach acid, and distributes live cultures to the proper area of the small intestine and colon, right where they're needed most. No refrigeration necessary. 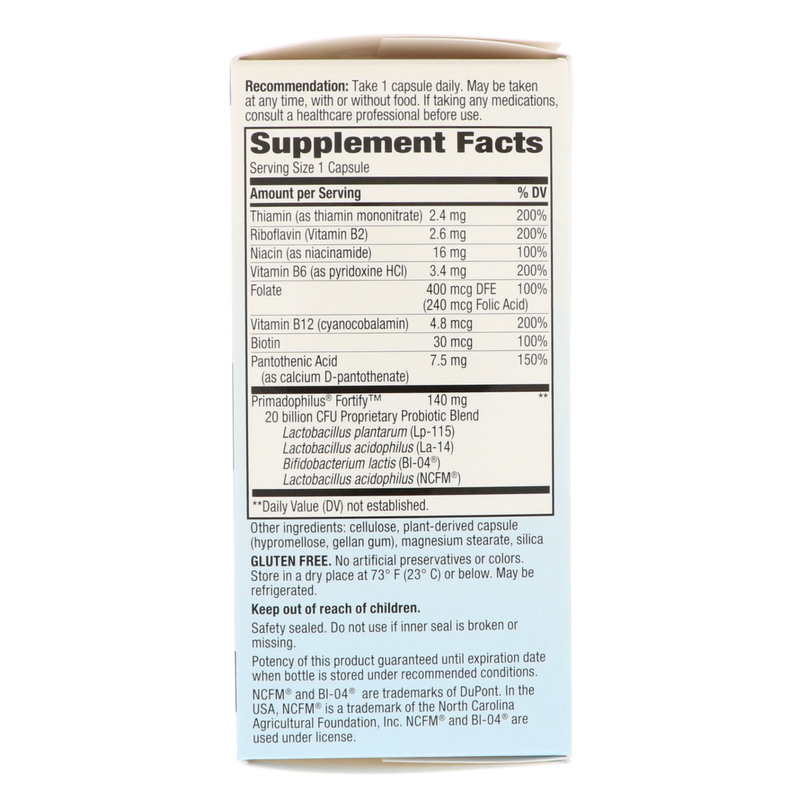 This product is guaranteed to maintain stated potency until date of expiration when stored under recommended conditions.